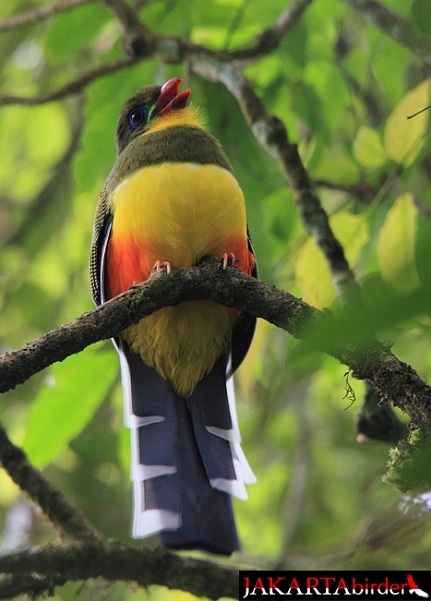 Trogon reinwardtii Temminck, 1822, Java. 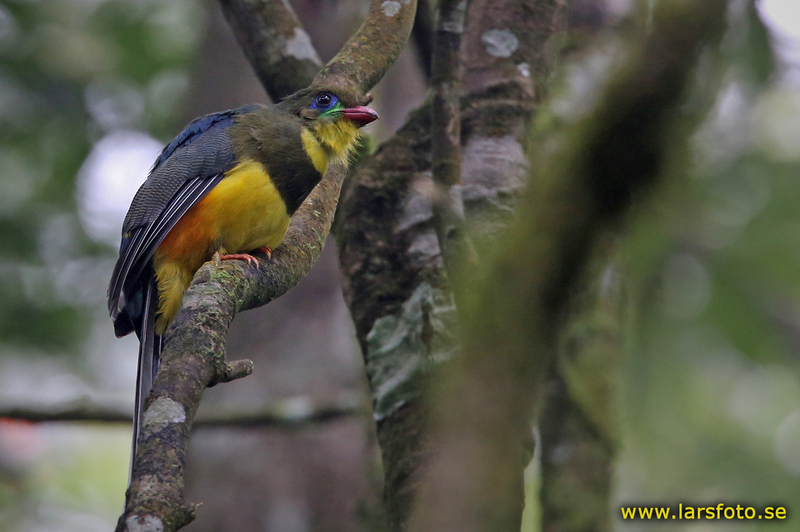 Occasionally considered conspecific with Sumatran trogon (A. mackloti), although range and appearance differ. Monotypic. 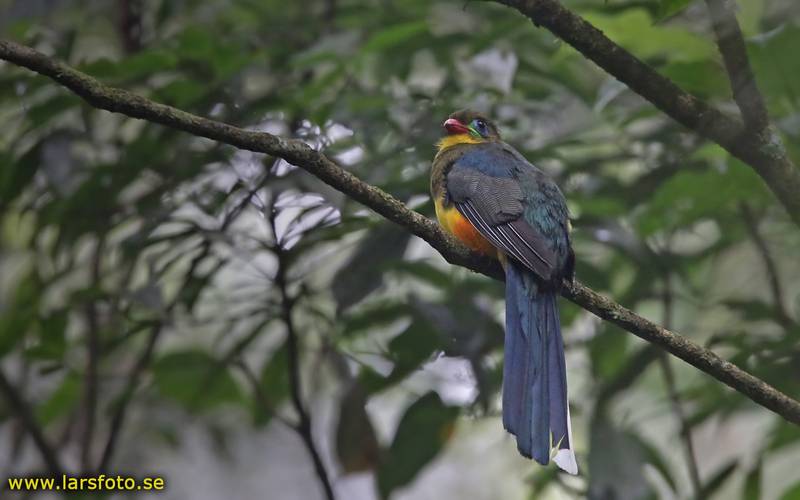 English: Blue-tailed trogon, Macklot’s trogon, Reinwardt’s trogon; French: Trogon de Reinwardt; German: Reinwardttrogon; Spanish: Trogуn de Java. 13.4 in (34 cm), weight unknown. 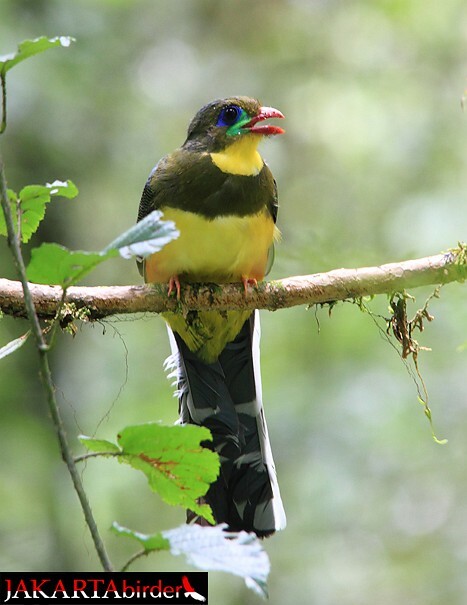 Olive-brown head and shoulders, blue-green upperparts, yellow throat and lower breast, metallic blue tail, with three outer retrices tipped and edged in white, red bill. Eats insects, including beetles, cicadas, caterpillars, grasshoppers, as well as fruit, including figs. 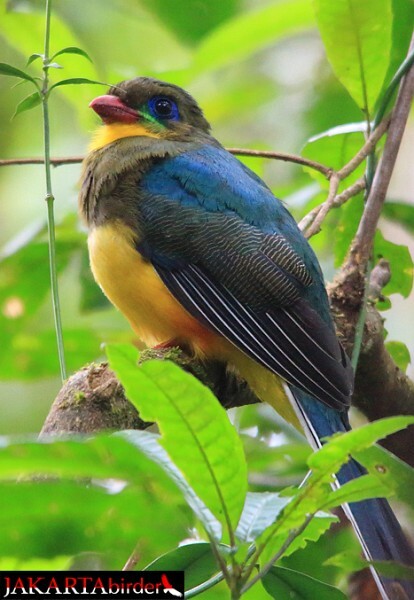 Little known; breeding reported April through December; lays one to three eggs.